Penguin Punch Art Tutorial & Birthday Giveaway Winners! Alright, after fighting with cameras and computers… I finally finished the Penguin Punch art tutorial video! I swear normally it doesn’t take nearly this much effort to create and share a video but I feel accomplished for showing the technology who is boss. ha ha! And now, here is how to make these cute penguins at home! Thanks to everyone who visited and commented here and on my facebook page! It was so fun to hear everyone’s favorite holiday traditions, treats, and more. Plus it was nice to hear I’m not the only one behind on mailing out Christmas cards! Congrats to all the winners! Email me at jennifer@nwstamper.com with where you would like me to send your goodies and I’ll get them out to you this week. Thanks again for celebrating with me and have a great holiday! 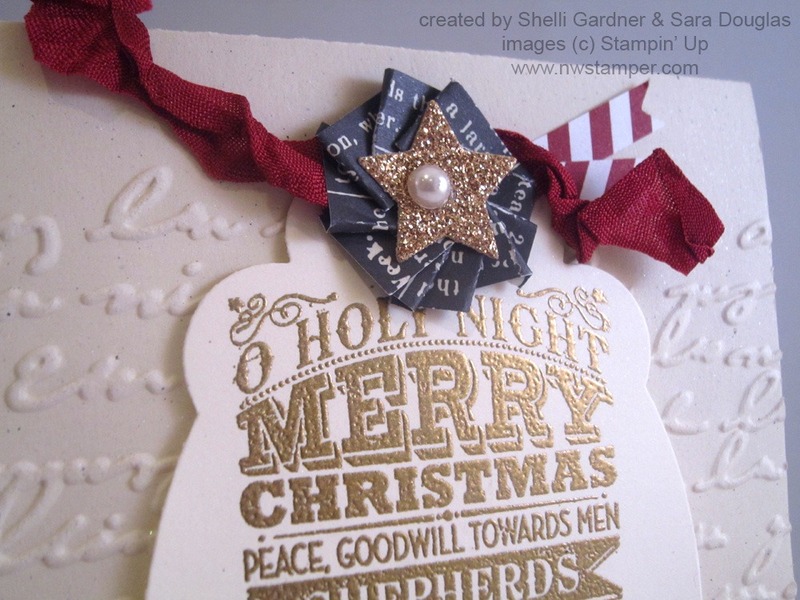 A Christmas Card from Shelli Gardner! I can’t believe I almost totally forgot to post this card I received at Founder’s Circle from Shelli Gardner (Stampin’ Up! CEO and her daughter Sara Douglas). When we were swapping she gave us this card and even signed it on the back with her “bad” hand since she had just been in her horse riding accident and had injured her shoulder. But I wanted to share it with you now before the holidays completely pass by. But first, don’t forget about the Birthday Weekend Celebrations! My birthday was on Wednesday and I’m sharing the presents all week long! If you haven’t checked out day 1 and day 2, you still have time to get your name in the drawing for each gift since I’ll be drawing names on Sunday morning. 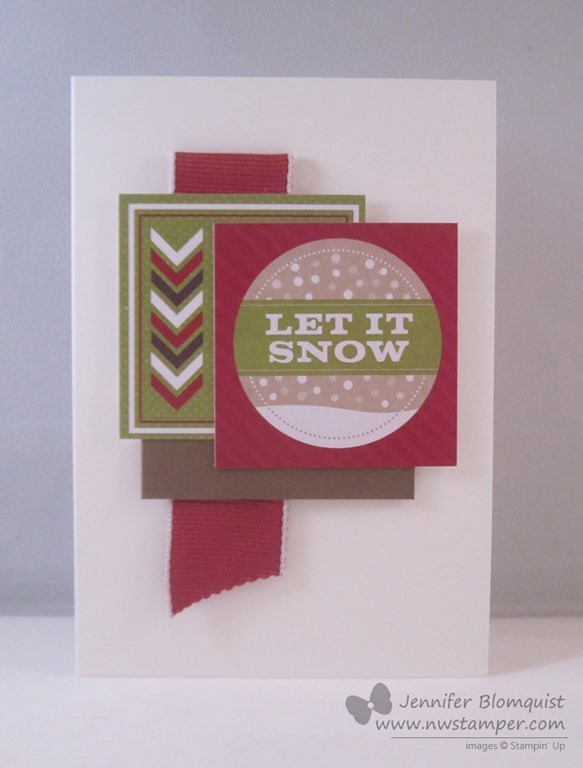 So check out Shelli’s card and then leave a comment to be entered for today’s giveaway! 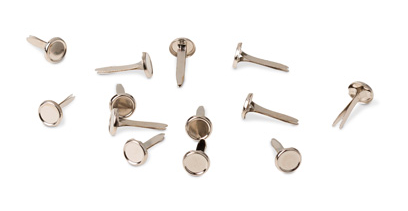 Shelli is known for her vintage and sophisticated style. 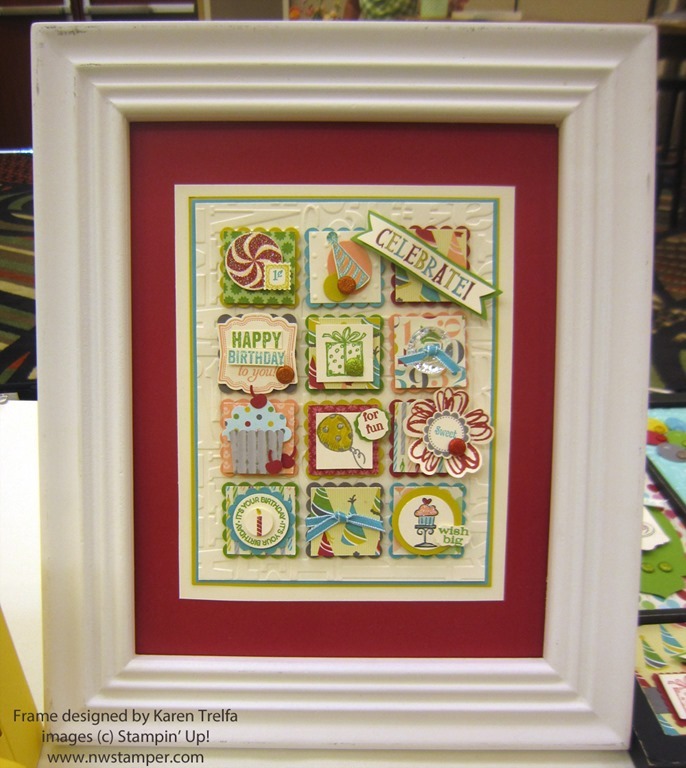 It always makes me laugh to see her on stage and start putting together a card and tell us that it is just a “stamp here”, “spritz there”, add a little fussy cutting, glue this and that, “add a stitch” just so… and you are done! She makes it look so easy! Now, I guess the basic elements of this card are pretty straight forward. 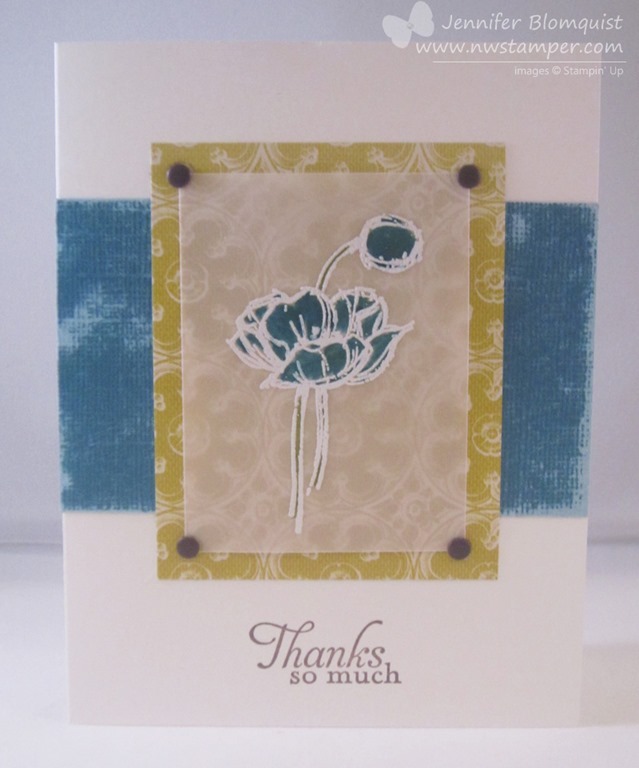 Run the embossing folder across the middle of your card front for embossing on only part of your card front. 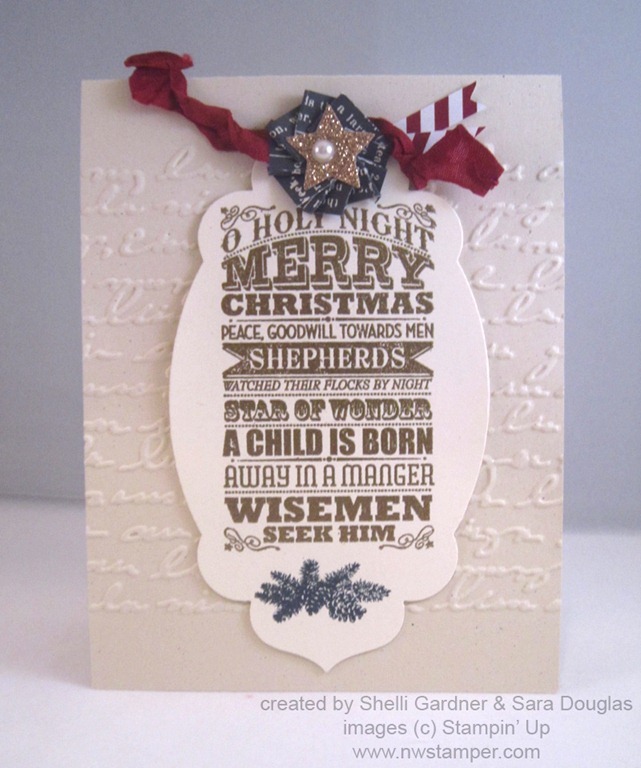 Heat emboss a single stamp (the O Holy Night set) in gold. Then took some of the FABULOUS Cherry Cobbler seam binding ribbon and (I’m guessing with starch spray) crinkle and folded the ribbon to this interesting look. Add two more paper banners on the right and you are done! 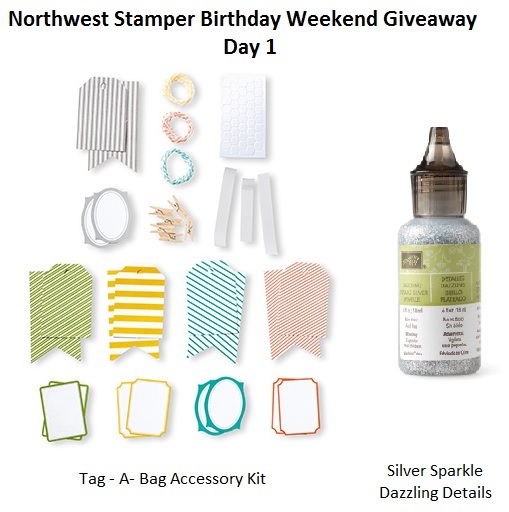 Birthday Celebrations & Giveaway – Day 3! Alright, I promised you gifts because birthdays are so much fun and I’m glad I can share mine with you. Each day I’ll post a new giveaway and you’ll be able to enter up 3 ways (and yes! you can get multiple entries each day!) each day and I’ll draw names on Sunday. Leave a comment on this blog post sharing whether you scrapbook your holiday pictures or just take and store them. Visit my facebook page and leave a comment today’s card post sharing what is your favorite holiday treat? Woo hoo! It’s day 2 of my celebration and I have another card to share with you today. This is a card that I made for my Fun n’ Crafty demo team swap. Each month, everyone in my downline is invited to participate in a card swap… sort of like a secret santa – only for cards. You are given one or more names to send a card to. You know you will get a card for each one you send, but you don’t know from whom or when in the month it will arrive. It’s pretty fun! 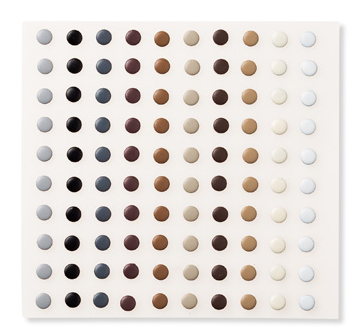 I reached for a bunch of supplies that I love but don’t use nearly enough (lets hear it for vellum, candy dots, and core’dinations cardstock!) and started mixing and matching using a simple card design. I made a couple in this AWESOME Cherry Cobbler colors and then one in the Island Indigo color. To make this card, it is simple to do. And we can’t forget! It’s Day 2 of Birthday Celebrations! 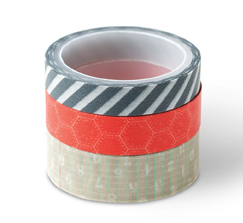 So, today’s presents for the giveaway are a cool combo goodies to make a project like this yourself. If you haven’t already checked out the CUTE punch art birthday penguins I posted yesterday and entered yesterday’s giveaway, you should! Then come back and get in on today’s prizes. Leave a comment on this blog post sharing what was the last type of card you’ve made. 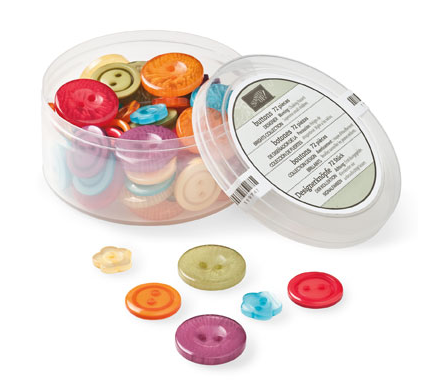 Visit my facebook page and leave a comment today’s card post sharing what is your favorite crafting accessory? It’s Birthday Time! 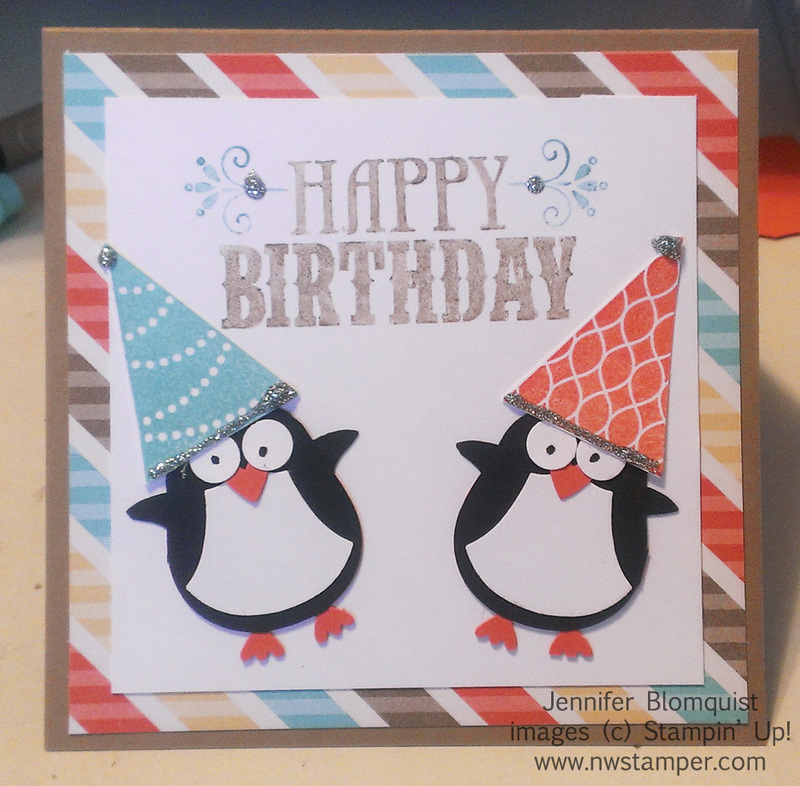 A penguin punch art birthday card & giveaway! Well, today is my birthday and I had to put together a special post for you this morning! It’s been birthday month at my house and after my daughter’s birthday a week and a half ago, now it is my turn to celebrate! With Christmas and my son’s birthday around the corner, I don’t typically plan parties or big events at home… but I thought I would have a little party online. I decided that even though traditionally the birthday boy or girl gets presents, I would have fun sharing with you! So, each day from now until Sunday, I’ll be sharing a project and offering a giveaway. Ok, I’ll admit, this is a slight variation on the card we made in club… this version uses one of the new designer series papers from the upcoming Occasions Catalog – Retro Fresh. 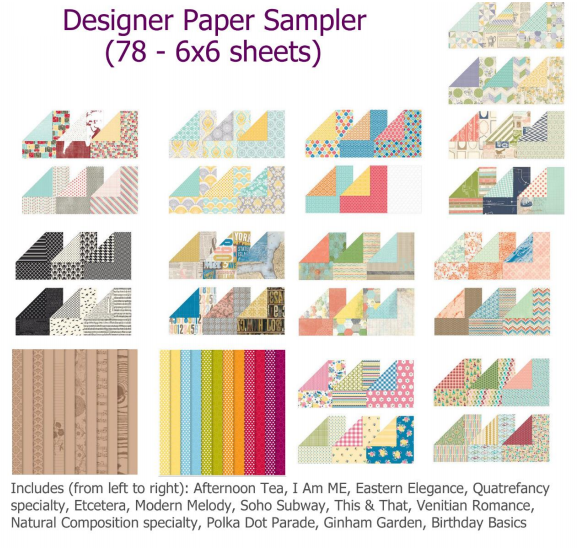 I LOVE the colors in this paper and the fun modern patterns. Anyway, aren’t these penguins adorable?!? I finally broke down and got the Owl Punch and these were the first guys I made. They are so easy to make and so stinkin cute. I’ll put together a little tutorial for tomorrow on how to make them if folks are interested. Visit my facebook page and leave a comment today’s card post sharing if today was your birthday, what would you want for your present? Alright, have fun and have a great day! It’s been a crazy few days around our house here in freezing cold Washington… surprizingly it has been actually hanging out in below freezing temperatures here (normally we are cold but not this cold!) My stamping and blogging time has been put on hold a little bit as we’ve celebrated my daughter’s 2nd birthday this weekend as well as dealing with serious health issues with our oldest cat. But, I wanted to stop on by and share another card from my recent vellum class. 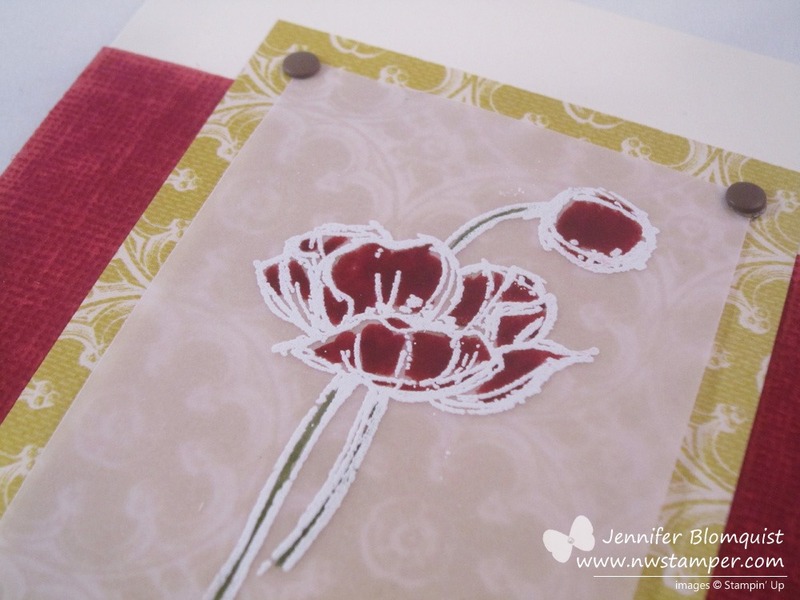 This is one of the simplest ways to use vellum and it is a great way to add an elegant touch to your cards. 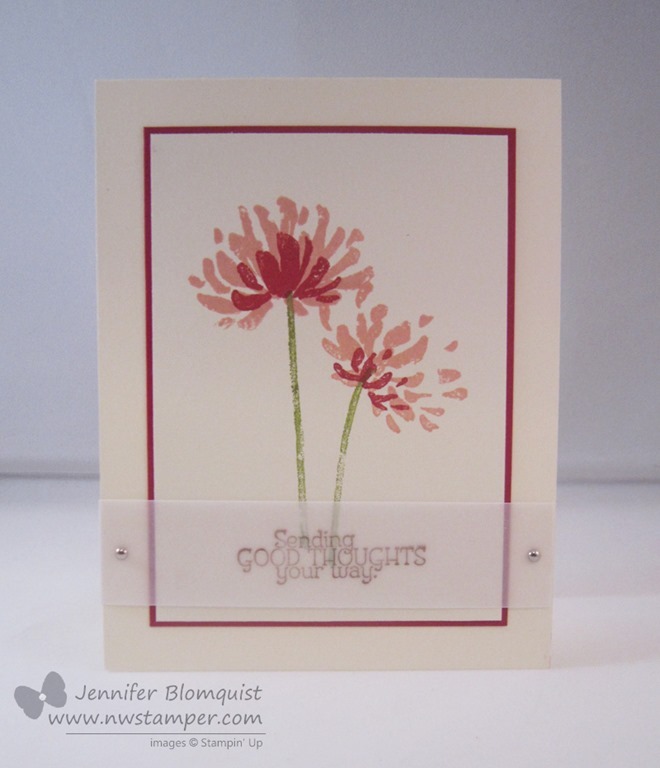 In this case, I stamped the flowers from the Too Kind stamp set and kept the card pretty simple so the flowers would really be the main focal point. But when I wanted to add the sentiment (also from the same set) I wanted it to fit in with the feeling of the card… so vellum to the rescue! I stamped my sentiment directly onto the vellum and held it in place with Silver Mini Brads so that it wouldn’t go sliding anywhere. 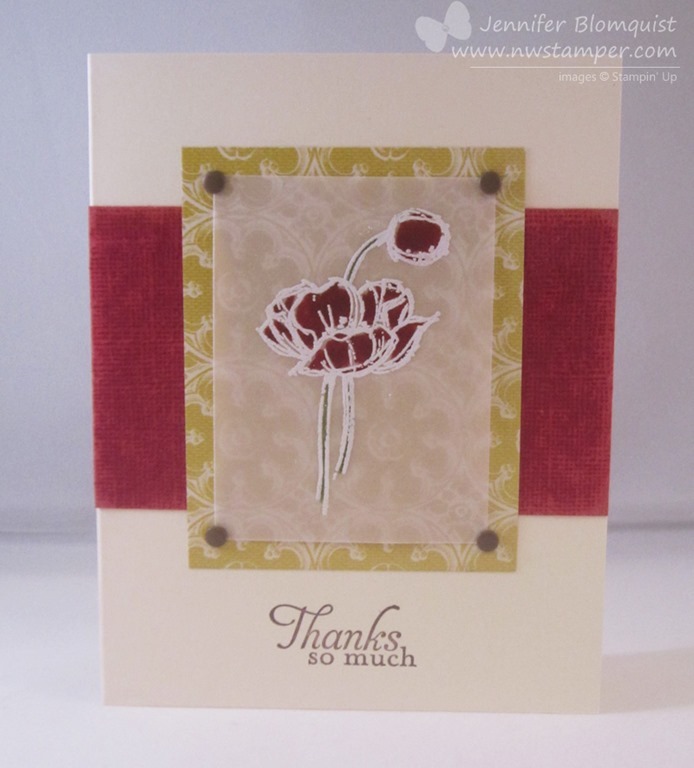 It is a great way to add a fun touch without adding a heavy layer to your card. You should definitely give it a try! Just in case you thought you missed it, there are still tons of great deals on the Clearance Rack as part of the Clearance Rack Blitz. The items are while supplies last so don’t delay in checking it out and grabbing your favorites before they are gone. Plus, while you are there, check out this week’s Weekly Deals to save even more. Alright, time to tend to the kitty… have fun stamping and I’ll be back tomorrow with more!